Why do we like this car? It’s paid for!!! Top speed unlimited downhill!!! It is Exxon’s best friend!!! Is it for sale? How much money do you have???? We are members of the Bozeman Antique Auto Club, Bozeman, Montana, a Chapter of the Montana Pioneer and Antique Auto Club. If interested in joining our club, just click on the Montana Pioneer and Antique Auto Club link on this site. It will direct you to the chapter nearest you and gives contact information for your assistance. Additionally if you wish to get information about any major national auto club, you will find a link on this site. I took this picture during a tour at Kalispell, Mt a few years ago. The owner has kept it flawless!! This car to me just has the looks of the best in elegance! It just looks important!! How many ’39 phaetons have you ever seen? I have seen two in my life!! This one and another owned by a fellow Montanan. His is a nice light yellow color and just as outstanding as the one pictured. I can just see this one in a parade going down Broadway in New York City transporting Franklin D. Roosevelt or Ronald Reagan!! This car really has a history! When new, it was used in Yellowstone National Park to transport important people around and let them enjoy some of the most beautiful views in the world!! 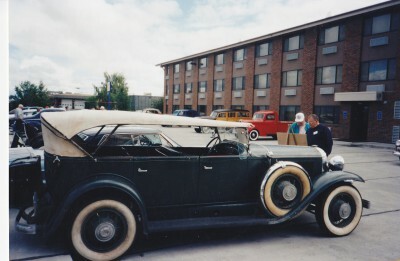 The car is owned by a member of the Montana Pioneer Antique and Classic Car Club and the last time I spoke with him, he had no intention of restoring it due to it’s historical value. He has a panel depicting history of the car that accompanies it when taken on tour. If by chance you ever see this car, be sure and check out the panel. You will find the reading very interesting. 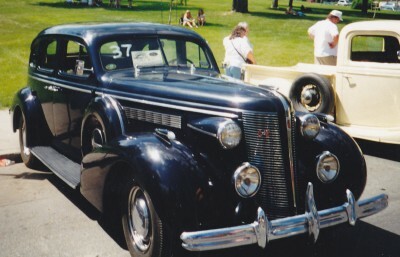 The 1939 body style was very different from it’s 1937 and 1938 predecessors in that it appeared longer, sleeker and heavier. This picture was taken by the writer at Whitehall, Montana several years ago and I believe it was 2 years ago I saw it at the Deer Lodge, Montana antique automobile museum. A friend of my family in Enid, Oklahoma purchased a new 1939 that wes adorned in a dark green color. I’ll never forget how nice it looked and how I wished my family could afford one like it, but I knew our finances at the time precluded that ever happening!! Dad was doing well with his 1936 Chevy with over 100,000 miles on it! The depression wasn’t over for us for about another 10 years!! 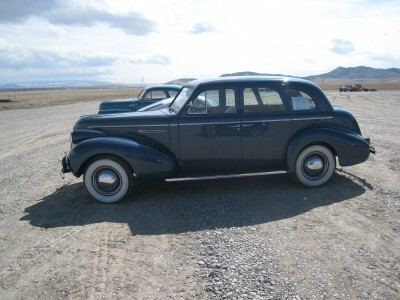 The 1937 BUick was my idea of an automobile when it appeared. When it came out, one of my uncles sold them and I recall him letting me sit on a right front fender and watching him do his sales presentation on the showroom floor of Stevens Buick Company, Enid, Oklahoma. The reason I say they were my idea of an automobile, when compared to a Chevy or Ford, the Buick looked monstrous!! Long, sleek and beautiful with those gorgeous paint colors! You would think that during the depression, both my uncle and Mr. Stevens would not have wanted a 9 year old kid sitting on a fender like I did while the presentation was going on, but when I think about it, they wanted the customer to feel no pressure at all and I helped. I didn’t say anything unless I was asked! I always admired my Uncle Jack’s sales ability. If there ever was a no pressure salesman-he was it!! I asked a co worker of his one time if Jack ever had any ambitions of owning a dealership or of being a manager and he said no because during the depression he was a money making dude right where he was in comparison to other salesmen in the city! He lived pretty good during the depression, I know that!! !